Just finished a tour with my Dad so have called it Tour de Dad. I did 500 km and my Dad did 315 km. Very proud of my 76 year old Dad. I will make a page for this tour. I have already begun with the video. We landed up cutting the tour short as his circulation in his legs was giving him a hard time up the hills. Never the less he did an outstanding attempt for somebody of his age. There were people along the way that thought we were doing it for a charity. However it was just a good father and son outing. Why do we need to do this type of thing for charity? Time to get out of your chairs and do it for yourself. For those of you who are not out riding your bicycles, it is now time to start. Then there were wonderful people who stopped and give motivation along the way. It is nice to find good people out in the world. Gives you hope for the future of our world. There are people out there that are driven by more than just money. They have good hearts. As always we learned things along the road. We are suffering from electrical load shedding in South Africa at the moment. As there is not enough generation capacity to cope with demand. It feels as the government has not been putting in enough energy as they should to correct this problem. However we found km after km of new road surface that had been laid to help the trucks that transport coal to the power stations. Then the volume of trucks transporting coal was impossible to count. There was a steady stream of trucks all the way from Balmoral to Volksrust. The amount of money that must be paid to keep this stream running is beyond my comprehension. Pay a visit to my Bicycle trips page. Tour de Dad is now under construction. 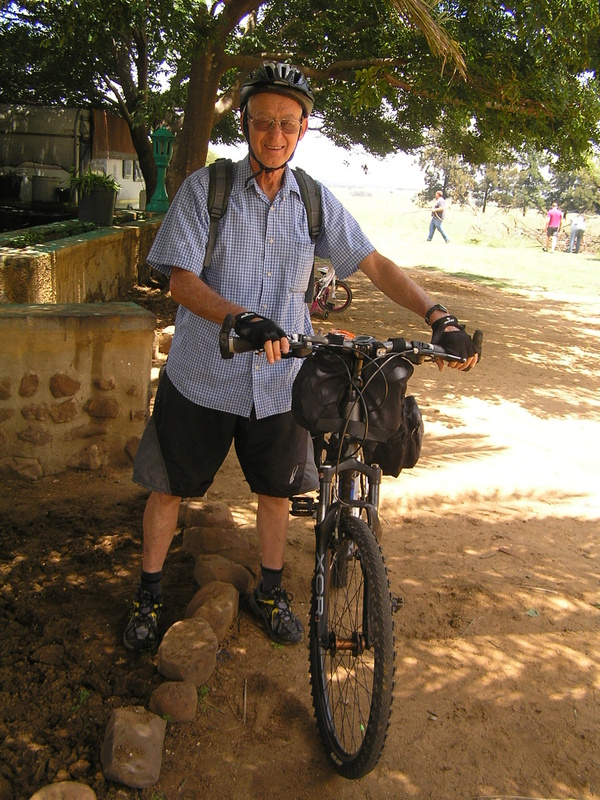 This entry was posted in Bicycle adventures, Thoughts and tagged Tour de Dad, Volksrust, Wakkerstroom by krfarmer. Bookmark the permalink.